Founded in 1985, the Timber Framers Guild is a non-profit educational membership association dedicated to the craft of timber framing. 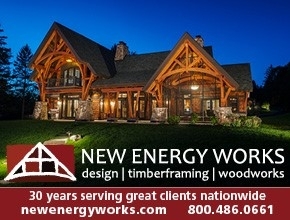 We serve as a center of timber frame information and design for professionals, aficionados, and the general public. The Guild conducts national and regional conferences, sponsors community building projects and workshops, operates a U.S. Department of Labor–certified apprentice program, and publishes a monthly newsletter and a quarterly journal. The Traditional Timber Frame Research Advisory Group (TTRAG) is comprised of members of the Timber Framers Guild who have an interest in historic timber frame structures and their restoration and preservation. TTRAG members also document historic structures, including determining the age of buildings by dating the wooden materials using dendrochronology. 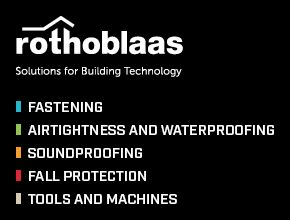 Many TTRAG members also construct buildings using traditional methods and tools. Buildings tell us a lot about our history and the development of society and civilization. TTRAG members are active all around the world, documenting and restoring buildings across Asia, Europe, North America, and beyond. Their expertise as historians is invaluable, and their commitment to traditional construction provides a steady, clear-eyed vision of timber framing that helps inform those working in our industry today. 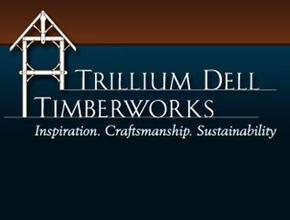 Learn more by visiting Historic Timber Framing. You can find out more about TTRAG and its work by contacting TTRAG liaison Michael Cuba. The Timber Frame Engineering Council (TFEC) works to advance the art and science of timber framing by undertaking systematic research, the writing and discussion of findings, and the codification of timber frame joinery and structural practices. To that end, the TFEC conducts symposia specifically on subjects related to engineering, where members can discuss, at length, issues and techniques. TFEC also promotes appropriate research to advance timber frame and SIP (structural insulated panel) technology, produces technical publications and articles, and advocates for amendments to building codes and technical standards to advance the technology of the craft of timber framing. You can find out more about TFEC and its work by contacting TFEC Chair Joe Miller. The Apprentice Training Program (ATP), through its registration at the U.S. Department of Labor (2009), is a nationally-certified training program for timber framing. The program curriculum was developed over a ten-year period by founding Guild member Will Beemer, with support from other interested members. Now, the all-volunteer Apprentice Training Committee oversees the administration of the program, with accounting support from TFG staff. Applicants to the ATP must be working under a qualified journeyworker. People who are interested in going through the program, but are not currently employed under a journeyworker, are encouraged to fill out the ATP Skills Assessment Guide and email it to the ATP along with a resume and cover letter. The ATP has had good success in placing motivated apprentice candidates into the timber framing industry. The objective of the apprentice program is to reinforce the professional practice, evolving skill set, and continuing education necessary to deliver high-quality timber frames, enclosure systems, and structures to the marketplace. For a more thorough outline of the program requirements, read the Apprenticeship Manual. If you wish, you can also peruse the Complete Curriculum Outlines. And further information about news and events is available via the ATP blog. Interested in becoming an apprentice, journeyworker, or simply want more information? Email the Apprentice Training Committee at atc@tfguild.org. Craft, and the craft of business, are deeply intertwined. The mission of TFG Companies is to expand opportunities for the timber frame industry, its businesses, and its craftsmen, and to provide education, resources, and networking for our member companies. One of the goals of the Timber Framers Guild is to build a vital timber frame community with a strong market where all can thrive. To that end, the Guild established “TFG Companies,” which supports Guild members as they grow and manage their companies. Our TFG Companies have a company profile on the website and a listing in our “Find a TFG Company” search option, so prospective clients and the public can find out more about our great company members. TFG Company members also have a myriad of opportunities for professional development, from learning about cutting-edge techniques for every aspect of timber frame construction to business and project management to improving efficiency and customer experiences. TFG Company members also help support our Apprentice Training Program; participate in and promote our Community Building Projects; educate the public and the communities in which they live and work; and teach and learn together to collectively improve the industry. To find out more about TFG Companies, contact Member Services Director Brice Cochran. If you’re a timber framer or supplier, and interested in learning more about why you should become a TFG Company, visit our membership page to discover the advantages of joining our Company community. “Enriching Community Through Craft.” This is the vision statement of the Timber Framers Guild, and we live it every day, but never more so than when we are working on our Community Building Projects. Our members like to say, “we help communities build community.” What that means to us is working with non-profit organizations, towns, parks, and other organizations to design and build structures that are assets to communities. The Guild identifies projects that might not otherwise get funded, and our members volunteer to help get the structure built, lending their expertise and time to great projects and communities, working with the local people to make their vision a reality. “Community-fueled construction” helps instill a profound sense of place, the act of building together forms bonds of a lifetime, and the resulting structures are a lasting monument to the shared effort of a community and the Guild. Over the last 30 years, the Guild has carried out more than 75 Community Building Projects, fulfilling the dreams of communities and organizations across North America and beyond. To learn more about Community Building Projects, find out if there’s one in your neighborhood, or inquire about having one built in your community, visit our Community Building Projects page.